You'll learn how to take better portraits with any camera in this complete portrait photography course. 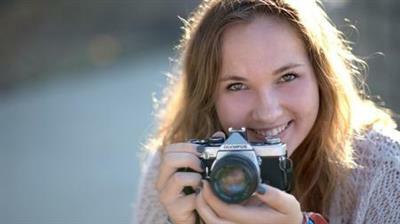 Welcome to the complete Portrait Photography for Beginners course! We are so excited to help you take better portraits. If you're a relatively new photographer, this is the perfect portrait photography course to help you with this new skill! You'll learn everything you need to know to take better portraits with any camera - DSLR, mirrorless, smartphone, or point-and-shoot.